Praised for her “alluring” performances and “easy virtuosity” (Cleveland Classical), early music specialist Elena Mullins is equally at home singing 16th-century lute songs, adding percussion to 13th-century estampies, and breaking down 18th-century baroque dance patterns. 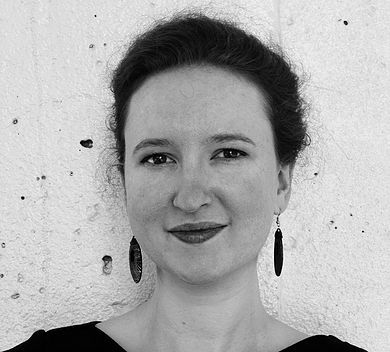 She takes a scholarly interest in the performance practices of early repertoires, and is co-founder of two medieval ensembles, Alkemie and Trobár. Elena has performed with a number of period music ensembles, including Les Délices, The Newberry Consort, Apollo’s Fire, Three Notch’d Road, and Quire Cleveland. She received her B.A. from the Eastman School of Music, and her D.M.A. from Case Western Reserve University, where she returned in 2016 to conduct the Early Music Singers, a Renaissance choir. She is an avid teacher of piano, voice, and baroque dance. In her spare time, she enjoys building up her callouses at the bouldering gym, and has recently fallen in love with Scottish country and blues dancing.